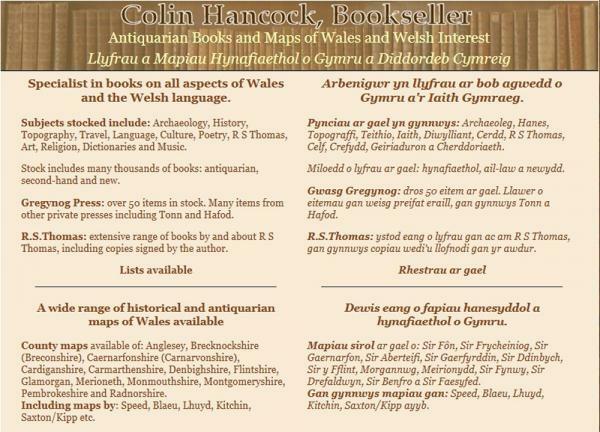 A basic brochure site for Colin Hancock, an antiquarian book dealer specialising in books and maps about Wales and of Welsh interest. Technical features: PHP a MySQL. 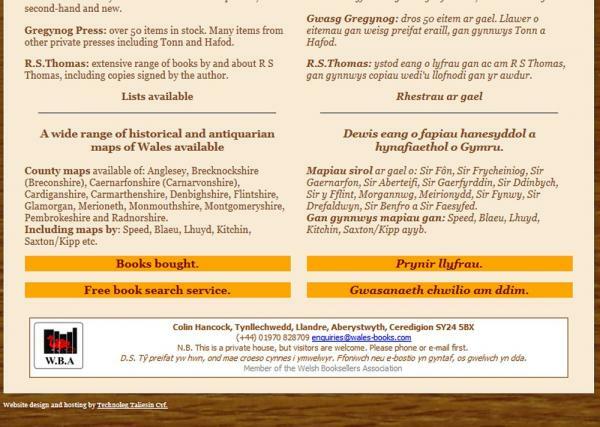 The one-page informational site is bi-lingual.